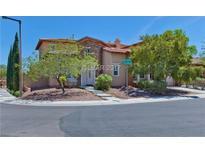 Below you can view all the homes for sale in the Barrington subdivision located in Las Vegas Nevada. Listings in Barrington are updated daily from data we receive from the Las Vegas multiple listing service. To learn more about any of these homes or to receive custom notifications when a new property is listed for sale in Barrington, give us a call at 702-930-8014. No EXPENSE spared, this home is IMMACULATE & TRULY turn key. A MUST SEE HOME! MLS#2054551. United Realty Group. Custom drapery/shutters, BBQ, firepit, orchard, pool/spa with beautiful parkviews. MLS#2034820. Wynn Realty Group. The master bathroom has a large Jacuzzi tub that is just perfect for relaxing!! ! MLS#1890215. Rustic Properties.